Description Help Joe restore his ranch in the brand new game by Playrix! 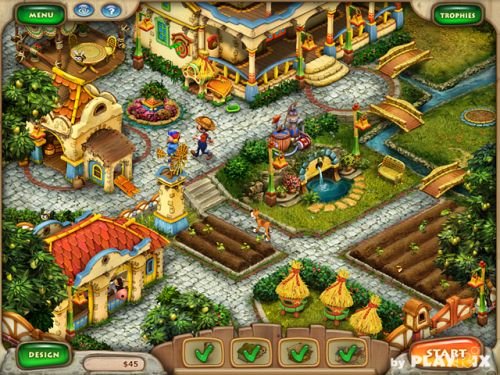 Earn money by selling fresh veggies, juicy fruits, eggs, flowers and honey from his old farm to the townspeople, and spend it on restoring the landholding back to its grandeur and beauty. Breathe in new life into a formerly prosperous farm complete with clucking chickens, mooing cows and buzzing beehives. No need to make this lawn story short - indulge yourself in sun, color and blue summer skies! Get ready for this green-fingered game!